3.Advantage: work with induction cooker for long time. 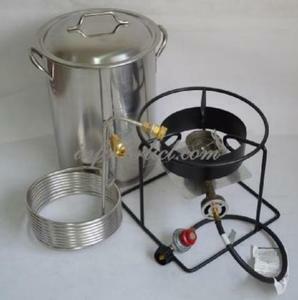 4.Large size and capacity for customers' choice and usage. So you can trust our company and our product quality. We excel in configuring our products with precision,using authentic and food-grade materials. Quality: Our products conform to the international standards and are checked at every stage of manufacturing. Now it is developing into a comprehensive enterprise for" Design, Manufacture, Sale and Service". 2)Your logo can be stamped on the bottom of cookware. 3)The gift box will be made according to your artwork. 4)Sample is available before order confirmation. 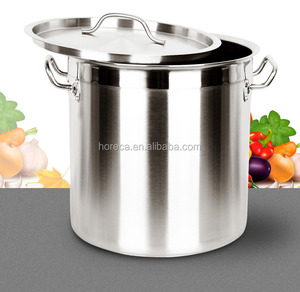 Stainless Steel Stockpot It is designed with the highest quality stainless steel, which promotes long durability and fast cleaning. Stainless Steel Handle Solid stainless steel side grips ensure a lifetime of balanced cooking and easy lifting. Flat Bottom The stainless steel base of the sauce pan stays flat on all cook top surfaces, including electric, gas, and induction. 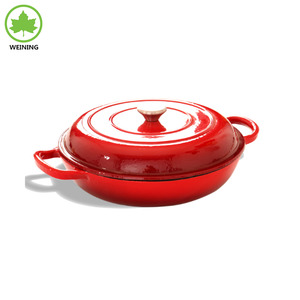 Alibaba.com offers 134,247 stock pot products. About 18% of these are soup & stock pots, 1% are utensils, and 1% are ovens. 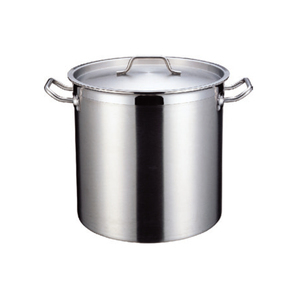 A wide variety of stock pot options are available to you, such as ce / eu, fda, and lfgb. You can also choose from metal, porcelain enameled, and glass. As well as from eco-friendly, stocked. 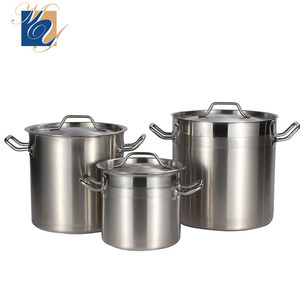 And whether stock pot is stainless steel, aluminum, or carbon steel. 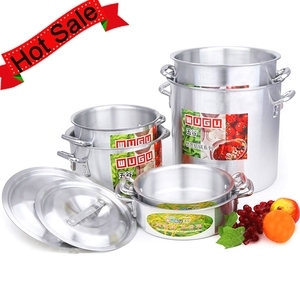 There are 133,104 stock pot suppliers, mainly located in Asia. The top supplying countries are China (Mainland), India, and Japan, which supply 95%, 1%, and 1% of stock pot respectively. 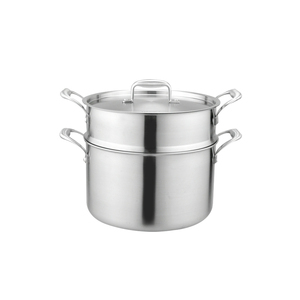 Stock pot products are most popular in North America, Western Europe, and Domestic Market. You can ensure product safety by selecting from certified suppliers, including 24,968 with ISO9001, 9,468 with Other, and 6,403 with BSCI certification.